SAN FRANCISCO—At its public meeting on April 25-26, the Judicial Council will consider a new budget development and allocation process for trial courts proposed by its Trial Court Budget Working Group, which is composed of judges and court executives. The proposed funding methodology was developed by a subcommittee of the working group made up of representatives from trial courts of variable size, geographic location, and funding need. Their goal was to develop a methodology that would result in a more transparent and equitable distribution of trial court funding among each of the 58 trial courts. The proposed methodology would be based upon workload as derived from filings through a specified formula and would require shifts in current baseline funding from some courts to others. These shifts would be phased in over a five-year period. In addition, certain elements of the process would be subject to further refinement by the Trial Court Budget Working Group, based upon input from trial courts and key stakeholders and subject to final review and approval by the Judicial Council. The council will hold its two-day public business meeting from 1:30 p.m. to 4:50 p.m. on Thursday, April 25, and from 8:30 a.m. to 2:15 p.m. on Friday, April 26, in the Judicial Council Conference Center, Hiram Johnson State Office Building, Third Floor, Ronald M. George State Office Complex, 455 Golden Gate Avenue in San Francisco. Final Report of the Trial Court Funding Workgroup: The council will review the final report from this workgroup that was established to ascertain whether the goals of the Trial Court Funding Act of 1997 have been met. The report summarizes significant strides by the judicial branch in achieving the stated goals and intent of the act, which fundamentally reformed the state court system by making the state—rather than the counties—primarily responsible for funding trial court operations. The report also includes 18 short-term and long-term recommendations to continue improving transparency, accountability, and equal access to justice for all Californians. Those recommendations include developing a new funding allocation methodology that would result in a more transparent and equitable distribution of funds to each of the 58 trial courts. Report on Judicial Branch Court Facilities Construction: The council will receive a report--that was required in Senate Bill 78--from the Legislative Analyst’s Office (LAO) that compares the costs and timeliness of construction projects delivered by the judicial branch to those of similar projects completed by the Department of General Services. The LAO report finds that the judicial branch generally delivered projects in a more timely manner, exceeded its budget less often, and incurred lower project management costs than did DGS. Audits of Judicial Branch Entities: The council will hear about the California State Auditor’s report on compliance with the California Judicial Branch Contract Law by six pilot courts and the AOC. It will also review for acceptance internal audits of the superior courts in Alameda and Los Angeles Counties. In addition, the council will receive an internal audit of compliance with facilities management and maintenance contracts from 2006 through 2011. Per Judicial Council policy, council acceptance of internal audits is the last step to finalizing them before they are published on the California Courts website. Judicial Council–Sponsored Legislation: The council will consider a recommendation from its Policy Coordination and Liaison Committee to sponsor legislation related to six proposals for court operational efficiencies, cost savings, and cost recovery. The proposals were developed in large part by presiding judges and court executive officers, with input from members of many of the council’s advisory committees and branch stakeholders. 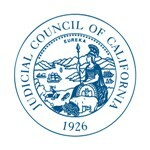 Governance, Structure, and Organization of Judicial Council Advisory Groups: The council will consider recommendations from its Executive and Planning Committee (E&P), Rules and Projects Committee (RUPRO), and Technology Committee about how to improve the governance, structure, and organization of its advisory groups. The recommendations are designed to help the council set priorities and direction for its advisory group function and will improve the council’s oversight of the advisory groups and the AOC. Judicial Council Directives on AOC Restructuring: The council will receive this informational report on the implementation of the restructuring directives for the Administrative Office of the Courts (AOC), as approved by the Judicial Council on August 31, 2012. The report provides an update on the progress of implementation efforts. Court Closures: Per statute and its normal meeting procedures, the council will receive an updated report on which trial courts have closed courtrooms or clerks’ offices or reduced clerks’ office hours because of budget reductions. This is the 18th report to date listing the latest court notices received by the council under this statutory requirement. Since the last council report, the Superior Courts of Imperial, Kern, Kings, Los Angeles, Orange, San Bernardino, and Tehama Counties have issued new notices of closures or reductions.